I managed to make another card this week and thought that I would share it with you. This card was made for SCS's Clean and Simple challenge this week. The challenge was to use some sparkles on your card. That's easy enough for me! This card uses Unity's June KOTM, Perfect in Every Way. The pink ice cream has Stickles all over it. I actually cut out the ice cream cone twice. Once for the base layer and once for just the ice cream. It has a lot of dimension in real life. And now for another treat! I have a picture of the kids to share with you! I know that I'm super biased but my kids are just SOOOOO cute! Parker had his two week appointment yesterday, the boy weighs in at 10lbs 10.5oz! He's a GOOD eater! Your card rocks, lady and your kids are too cute!!!! Have a great day!!! Your card is so cute. Your boys are just adorable. love the bright colors.. it's perfect! Aw! Super sweet card and picture!! Sweet card and sweeter photo!! My daughter was a good healthy eater too! But I think it was good, because she was NEVER ill (except for colds). What beautiful boys! And great card too! Love the card! The pic is SOOO cute! You're allowed to be biased and they are pretty darn cute! First of all...your boys are adorable! I love this picture of the two special brothers together! 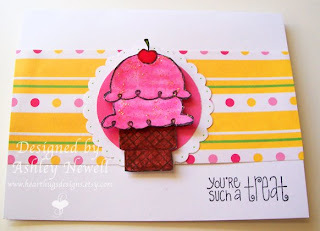 And your card is cute too...love that ice cream cone! Happy 4th of July! Ashley, what a yummy card with those sweet colors! Love the pic of your boys...what a beautiful pair! BEE-utiful boys!! What great memories that pic will bring in the years to come. 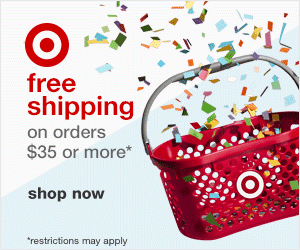 Love your card and happy 4th! Oh your card is sweet ~ but that pic of the boys~ PRICELESS!!! They are so adorable!! !